Thakur explained how the fact that it was an English language music reality show was obviously the biggest point of differentiation between The Stage and other music shows. She went on to add that the fact that the artists get to perform independent singles and not Bollywood film songs — a true rarity in the Indian subcontinent, also majorly separated this show from the rest. She also commended the judges’ honesty and each contestant’s creativity in making The Stage what it is. The theme for this week was Love on the Brain, and it saw an array of performances by the artists, each tapping into some past experience or emotion that they have felt. 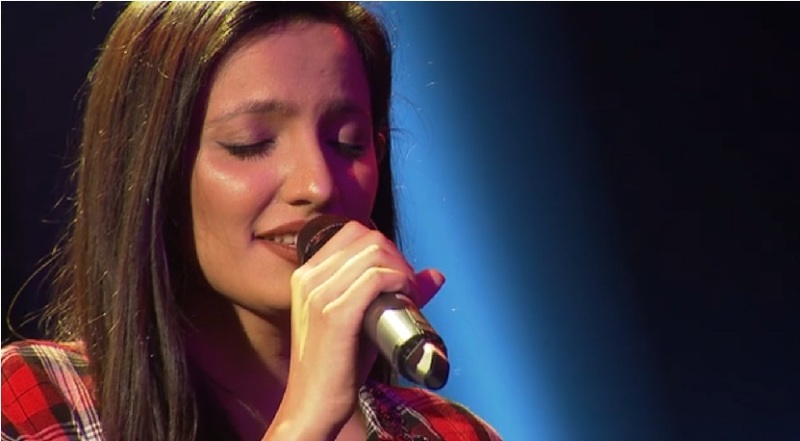 This week also resulted in Lekka’s elimination and Firstpost caught up with her exclusively after she was ousted from the competition and talked about all things music, including her journey on The Stage 3 and her love and respect for all the judges (shoutout to Monica Dogra and their special ‘Numb’ moment together). Eliminated contestant Lekka. Image from Twitter/@ColorsInfinity. Arish received the highest audience votes for the week and got himself out of the Battle of the Bench and safely back into the Artist Hangout. Akshay started off the performances of the night and sailed smoothly into the safe zone with four green lights from all the judges — Vishal Dadlani, Monica Dogra, Ehsaan Noorani and Devraj Sanyal. Diyatom took to the stage next and sang a rendition of Shawn Mendes’ ‘Treat You Better.’ In a shocking twist of fate, Diyatom (who always scores amazingly well with the judges) received four red lights and was the first artist of the night to get benched. Next up was Shaurya, singing Def Leppard’s ‘Love Bites’ as he (once again) left the judges astounded at the magic of his voice. He received four greens and safely headed back to the artist hangout. In what could be termed as one of the most romantic moments of the night, Shaurya serenaded Monali with ‘Love Me Tender’ by Elvis Presley on stage. Zoe performed next to Hailee Steinfeld’s ‘Starving.’ However, her act was not good enough to get her through as she made her way to the bench with 1 green light by Dogra, and 3 reds. We were also entertained by Dandekar and Dogra as they played the ‘How Well Do You Know Your Best Friend’ game. Next up was Siddhant, the first Power Pin holder of the season. Siddhant took to the stage with Zayn Malik’s ‘Pillowtalk’ and took the judges’ breath away as usual. He received two Go for Golds by Noorani and Dadlani along with two greens by Dogra and Sanyal. Urgen came next with an emotional performance on ‘Use Somebody’ by Kings of Leon. He received three reds and one green light by Noorani. Jalandar Massive also failed to impress the judges as they headed to the bench with three reds and one green (for encouragement) by Noorani, once again. Chochung too made her way to the bench with two reds by Sanyal and Noorani, and two green lights, making it the first time that she was benched in this season. Arish was benched too, receiving two red lights from Dadlani and Dogra on his rendition of Ed Sheeran’s ‘Galway Girl.’ Nisa received some mix reviews as she closed the night with her performance on Bruno Mars’ ‘Versache on the Floor,’ receiving a red from Dadlani, a green from Dogra and two golds from Noorani and Sanyal.